Set between the iconic Petronas Twin Towers and the beautiful KLCC Park, Mandarin Oriental Kuala Lumpur offers five-star splendour in an excellent Kuala Lumpur city centre location. Treat yourself to a stay in one of Mandarin Oriental’s stylish and sophisticated guestrooms and suites to admire the stunning views out across the distinctive city skyline. 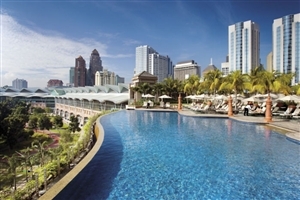 With the choice of 10 restaurants, bars and cafes, an outdoor infinity-edge swimming, a Spa and sporting activities, Mandarin Oriental Kuala Lumpur offers excellent on-site facilities to keep you entertained. 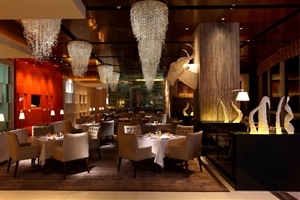 Mandarin Oriental Kuala Lumpur is located close to Merdeka Square and the Golden Triangle. With its privileged location overlooking the iconic Petronas Twin Towers and lush gardens of KLCC Park, the Mandarin Oriental Kuala Lumpur is the ideal choice for a Kuala Lumpur holiday. Discover the magic of Malaysia’s vibrant capital city by basing yourself in the sophisticated Mandarin Oriental Kuala Lumpur, where guests can choose between 602 elegantly-appointed guestrooms and suites, each of which enjoys memorable views across the cityscape. 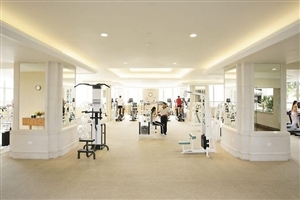 Mandarin Oriental Kuala Lumpur prides itself on offering outstanding facilities, including an outdoor infinity-edge swimming pool, an invigorating Spa and a fully-equipped fitness centre. 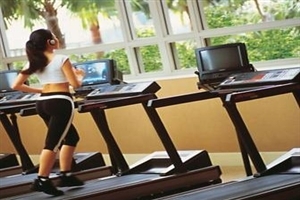 In addition, guests can also take advantage of two outdoor tennis courts and two indoor squash courts. 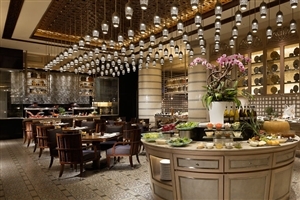 Furthermore, Mandarin Oriental Kuala Lumpur features an excellent choice of global dining options with ten restaurants, bars and cafes on-site. 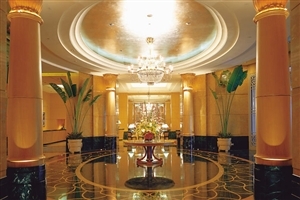 Mandarin Oriental Kuala Lumpur is located close to many of Kuala Lumpur’s premier attractions, including Little India, Merdeka Square and the Golden Triangle. The Deluxe City View rooms at Mandarin Oriental Kuala Lumpur offer 40sqm of accommodation space, with elegant furnishings and contemporary decor that belie its entry-level status. 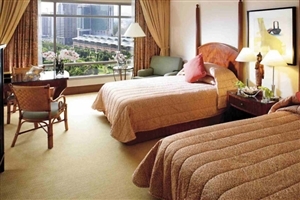 Guests can choose between a king-size bed or twin beds, with views to be enjoyed across the KL cityscape. The Premium City View rooms at Mandarin Oriental Kuala Lumpur offer 40sqm of accommodation space, with stunning views to be enjoyed towards the iconic Petronas Twin Towers. 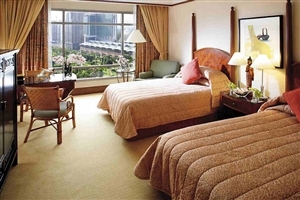 The Deluxe Park View rooms at Mandarin Oriental Kuala Lumpur offer 40sqm of accommodation space and overlook the majestic KLCC Park. 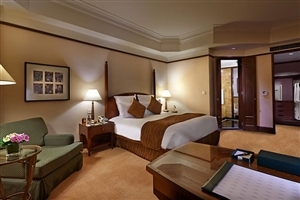 The Executive Park View rooms at Mandarin Oriental Kuala Lumpur offer 48sqm of accommodation space and enjoy panoramic views across to the beautiful KLCC Park. 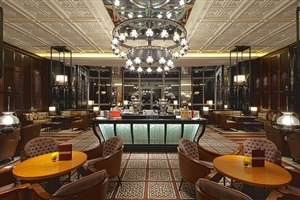 The Club Deluxe City View rooms at Mandarin Oriental Kuala Lumpur offer 40sqm of accommodation space, with elegant furnishings and contemporary decor that belie its entry-level status. Guests staying in the Club level rooms will receive upgraded amenities and services, as listed below. The Club Premium City View rooms at Mandarin Oriental Kuala Lumpur offer 40sqm of accommodation space, with stunning views to be enjoyed towards the iconic Petronas Twin Towers. Guests staying in the Club level rooms will receive upgraded amenities and services, as listed below. 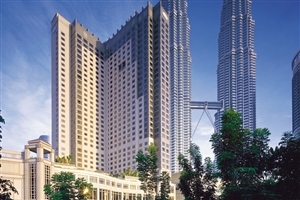 The Club Deluxe Park View rooms at Mandarin Oriental Kuala Lumpur offer 40sqm of accommodation space and overlook the majestic KLCC Park. Guests staying in the Club level rooms will receive upgraded amenities and services, as listed below. 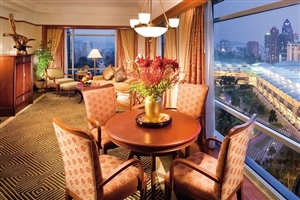 The Club Executive Park View rooms at Mandarin Oriental Kuala Lumpur offer 48sqm of accommodation space and enjoy panoramic views across to the beautiful KLCC Park. 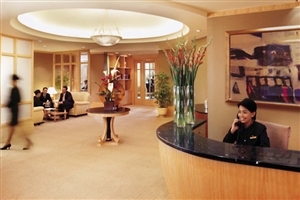 Guests staying in the Club level rooms will receive upgraded amenities and services, as listed below. 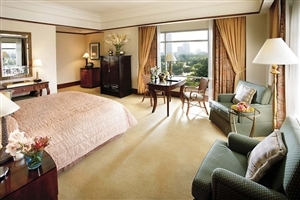 The Park Suite at Mandarin Oriental Kuala Lumpur offer 82sqm of accommodation space, including a separate bedroom and living room area, plus a dining table for four and a working desk. Guests staying in the Club level rooms will receive upgraded amenities and services, as listed below. 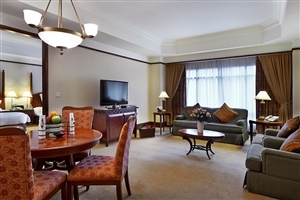 The Club Suite at Mandarin Oriental Kuala Lumpur offers 165sqm of accommodation space, including a separate bedroom and living room area, plus a dining table for eight and access to a fully equipped kitchenette. The Club Suite enjoys views out across the Petronas Twin Towers, while guests will receive upgraded amenities and services, as listed below. The Presidential Suite at Mandarin Oriental Kuala Lumpur offers 335sqm of accommodation space, with stunning views to be enjoyed across the KLCC Park and the iconic Petronas Twin Towers. A grand master bedroom features a four-poster bed, while the lavishly decorated living room is distinguished by its plus red and gold furnishings. The private dining room can host up to 12 guests and is serviced by a fully-equipped kitchenette, while the bathroom features its own private sauna, a whirlpool and personal gym area. Guests staying in the Club level rooms will receive upgraded amenities and services, as listed below. The Two Bedroom Executive Apartment at Mandarin Oriental Kuala Lumpur offers 130sqm of accommodation space and is a veritable home-from-home with its two bedrooms, en-suite bathrooms, living room and dining table for four. A kitchenette makes this ideal for short-term and long-term stays. The Three Bedroom Executive Apartment at Mandarin Oriental Kuala Lumpur offers 152sqm of accommodation space and is a veritable home-from-home with its three bedrooms, en-suite bathrooms, living room and dining table for four. A kitchenette makes this ideal for short-term and long-term stays.